Ryan has only been coding a couple months, but we’ve already been blown away by his creative projects. He created his dad’s birthday present (“The robber game”) in Tynker, and sometimes he codes with his twin brother! We were lucky enough to chat with Ryan about why he codes and what he loves about Tynker. 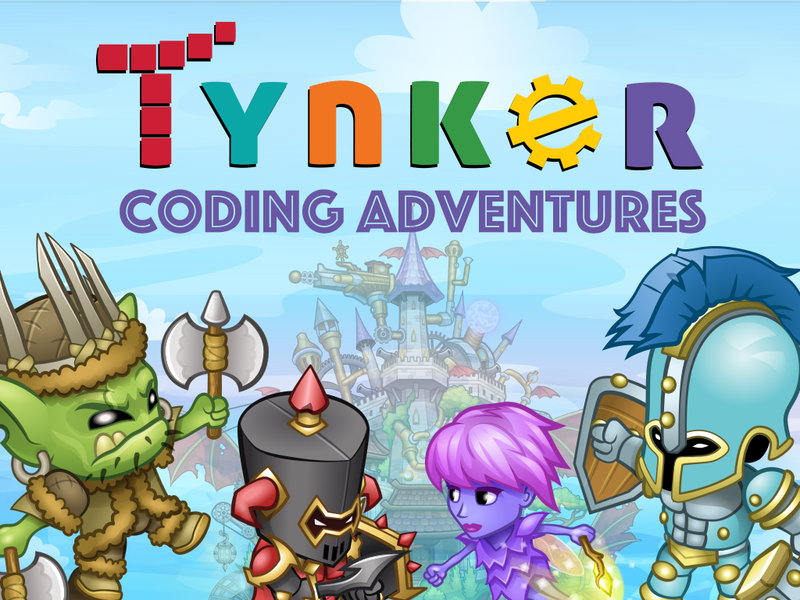 Read on to discover how Ryan develops his coding skills with Tynker! What’s your favorite subject in school? I like math! How did you feel when you found out your project had been featured? I was really happy! How did you get introduced to Tynker? I knew about a different app, and that was a little bit of coding, not as much as Tynker. I was looking through the app catalog on my iPad, checking apps out, and I found Tynker. It looked cool so I downloaded it. When I first had it I didn’t know the thing where you could code your own – I only knew about the thing where it teaches you. How long have you been coding? A couple months! How did you learn how to use Tynker when you were first starting out? I was just experimenting with different things and how they worked. Did you use any Tynker courses or tutorials to learn to code? Yes, on the mobile app. I used courses like Space Quest. How do you get inspiration for your projects? The one that was featured I was actually making for my dad’s birthday! I usually just come up with ideas. “The robber game” is dedicated to Ryan’s dad Eric. Check out more of Ryan’s projects here! Why do you like to code? I like that I get to make games and enjoy them! I can make cool things, and I like to look at other people’s games. What is your favorite project you’ve made so far? The featured one, or another one called Cat Run that I made. It’s kind of like Minion Rush. Basically, there are three lanes and you have to jump over objects and go back and forth between lanes. It continues going down so you can’t stop. What do you do with a project when you’re done with it? I show them to my brother, then publish the ones that are more complex and interesting. What’s your favorite feature in Tynker? Code! Do you ever Tynker with your friends? No, but I have a class in a homeschool program. Two days of the week I do normal stuff, and then the third day we get to choose what classes we want to go to. They’re called elective classes. In one of my classes I showed Tynker to my teacher, so we’ve been doing that in class for a while. How do you think learning coding now may help you in the future? If I become a game designer it would help me. Do you think other kids should try coding? Yes – it’s fun and I think other kids would like it too! What advice would you give to kids starting out with Tynker? I think something that people should always put in their games is directions, because it’s always really confusing when you go into a game and there are no directions. We love that – Tynker time is definitely different from simply playing games! Thanks for speaking with us, Ryan and Eric – it was great to hear more about Ryan and his projects. Happy coding!